Stick it! 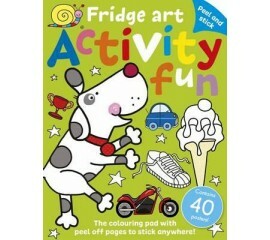 Fridge Art is a new innovative drawing and doodling book designed to keep little artists busy for hours! 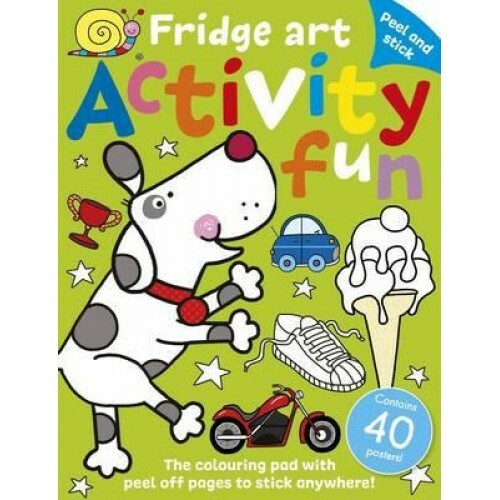 Stuck to the inside of the book is a fun and colourful poster pad packed with creative drawing activities. With a sticky edge on the back of each piece of paper, children can peel off their little masterpiece and then stick it on the fridge, or wherever they like! There is also a space to sign and date the artwork, so everyone will know who created it!